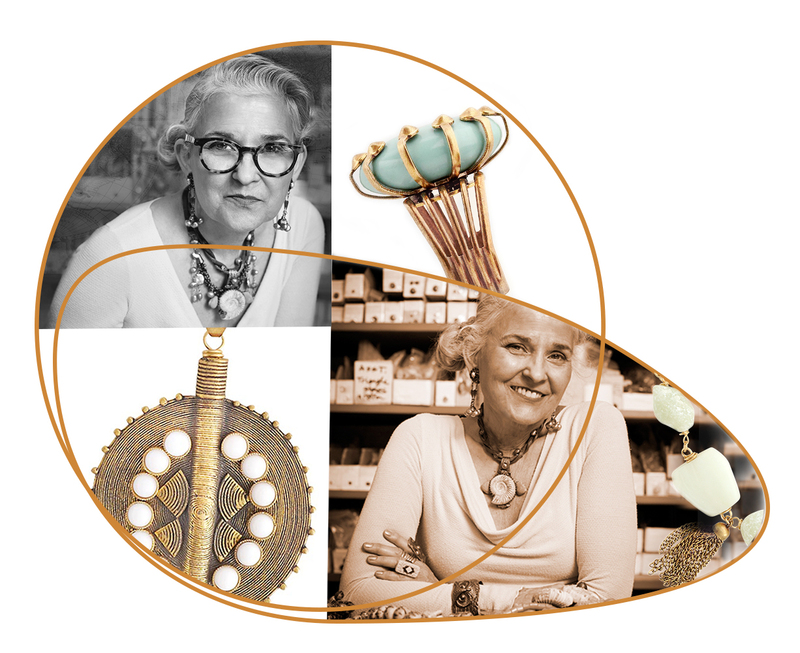 Jan is celebrating over 35 years designing eclectic bohemian and modern vintage jewelry. Handcrafted in her San Francisco Bay Area studio, Jan has adorned a generation of women around the world. Supported by a team of talented women artisans, Jan Michaels is known as fashion's chic collectables. Starting as a young girl in Pittsburgh hunting for stones and tiny treasures, Jan's eye for ornamentation grew into a full-fledged jewelry business. Her signature ability to invoke the spirit of a people, a tribe or civilization in her jewelry never fails to ignite our imagination and further our quest for living life to its fullest. Jan designed her first accessories using leather and rubber materials. She later studied metal working and silversmithing, and fell in love with brass, which provided the perfect contrast to the lush colors and textures of semi-precious stones used in her designs. Jan creates antique brass using an environment-friendly metal finishing process. The brass is tumbled to create a deep gold patina. Jan also offers a silver finish, which is electroplated onto the brass and resembles antique sterling silver. Jan rivets or fastens layers of brass together, which serves as an empty canvas in which she then adds from a staggering array of raw materials including beads, bone, shells, filigree, fossils, stampings, chains, pearls, gemstones, colored glass and more.